Be the trendsetter among your teammates in this Pro Hoody. In line with Canterbury’s reputation for delivering cutting-edge fabric technologies, this hoody has been designed to offer maximum protection from the elements without compromising on comfort and style. Integrating a water-resistant, quick-drying Vaposhield coating, this hoody will keep you drier and warmer for longer on the field. This garment also has integrated Thermoreg technology, combining practicality with great design, while the kangaroo pocket ensures you can keep everyday items close at hand. 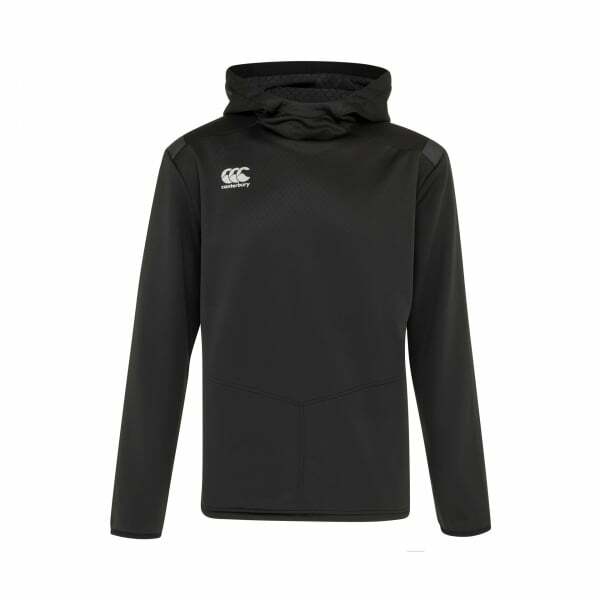 Whether you’re hitting the gym for a session or just catching up with the team, you’ll look the part and stay stylish in this hoody.